Welcome to our community website supporting our proposals for new homes and public open space on land to the North of Bitham Park, Westbury. In July 2016, Outline Planning Permission was granted for up to 300 homes on land to the north of Bitham Park, Westbury. The application was initially refused but approved on appeal at a planning inquiry. The application consists of up to 300 dwellings, creation of a new roundabout, creation of new emergency/cycle and pedestrian access points, open space provision and other works. A planning application was submitted on 06/03/17 to Wiltshire Council for a mix of 2,3,4 and 5 bedroom homes of Barratt and David Wilson brands. 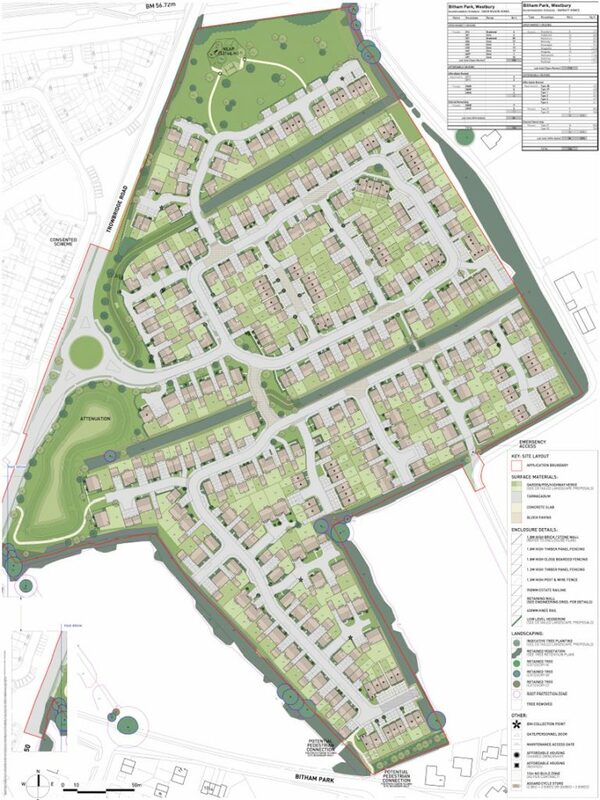 The development consists of 300 homes split between Barratt and David Wilson, of which 30% are affordable. The layout features a NEAP and large amount of open space, attenuation pond, retained existing hedgerows and a new roundabout to facilitate the site. After negotiations with the planning officer, the application was approved on 18/09/17. Construction on site will start in December 2017, with the first homes to be built by mid-2018. The site totals an area of 26.59 acres (10.76 ha) and is currently greenfield agricultural land. It is bounded and enclosed to the north by the embankment of the Taunton to Newbury railway line, to the west by the A350 Trowbridge Road, to the south by agricultural fields and existing residential properties on Bitham Park / The Knoll. Along part of its eastern edge, the site is bounded by a narrow lane known as Coach Road. Access is proposed directly off the A350 Trowbridge Road, which then links to Westbury town centre which is located within 1 mile of the site and provides good access to a range of existing local facilities and amenities. Westbury has good communication links, situated on the north-south A350, which offers a direct link to the M4 motorway (Junction 17). 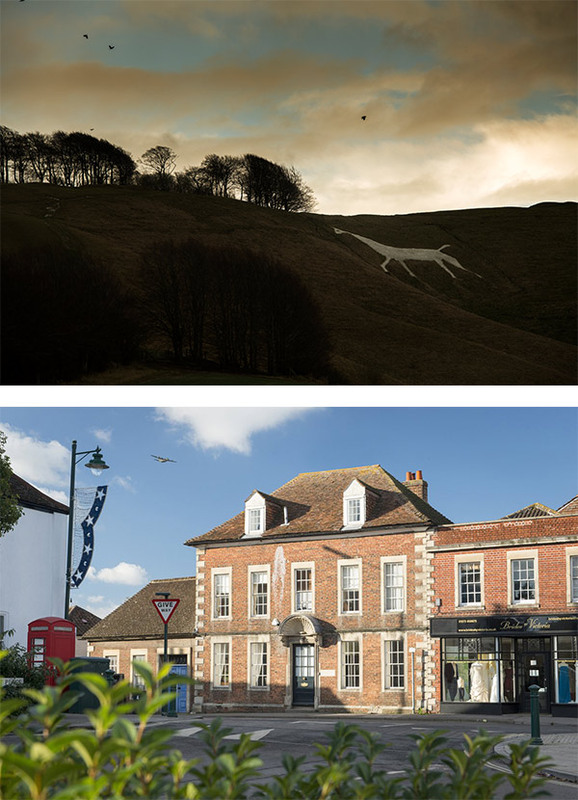 Westbury is highly commutable, being within 6 miles of both Warminster and Trowbridge, as well as being 15 miles from the City of Bath. Westbury railway station is situated approximately 1.2 miles from the site, which provides key services via the mainline of the Great Western Railway. Westbury therefore has direct access to services on the Bristol Parkway to London Paddington line via Swindon as well as providing alternative services on a regular basis to Bristol Temple Meads and Parkway, Portsmouth Harbour, and Plymouth.